Brighten up your complexion and give yourself fresh, radiant-looking skin! Part of Bourjois' most iconic Little Round Pot range, the Little Round Pot blusher has been around for almost 150 years and are loved worldwide! The baked texture is made from ultra-fine pressed powders for a light and easy to blend application. And, best of all, it smells of roses! 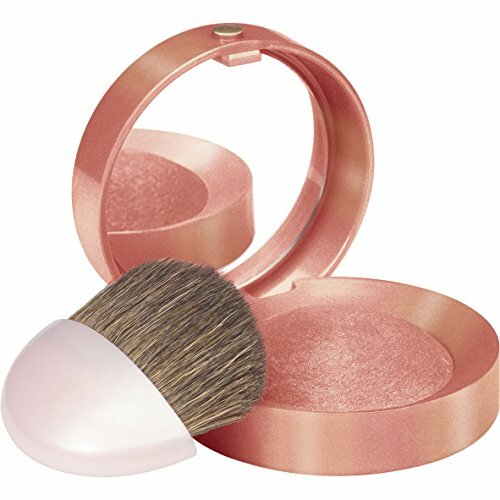 Feminine, elegant, compact and unique in design with an integrated mirror and brush - it is perfect for your handbag and for touch-ups on the go! Available in a wide range of shades to match all skin tones. Make-up tip: For a natural result, smile and apply the blush on your cheekbones using circular movements. Continue up to the temples for definition. If you apply too much, just apply a coat of powder on top!